I won a doodle competition! I was really pleased to hear that I won the National Doodle Day competition! I also win a laptop which is an added bonus! I have mentioned The National Doodle day competition in previous posts as it was about raising funds to help people whose lives are affected by epilepsy and neurofibromatosis. It was for a good cause and sounded really fun so I was really pleased to take part by drawing a doodle on an A5 piece of paper and donating £1. I am obviously now thrilled to see people chose my doodle as the winner! My doodle should be on their website soon and I also might be doing a press release about it so i’ll keep you posted! I’m going to be in an exhibition and a book! 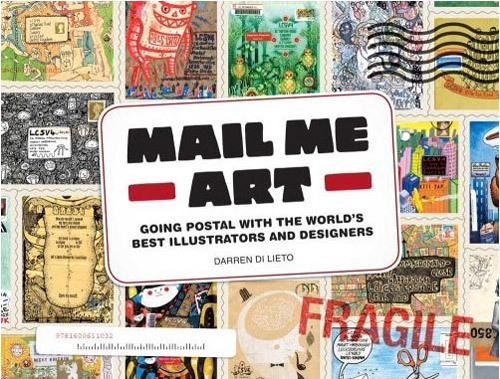 I stumbled across the Mail Me Art Project and thought it sounded brilliant! 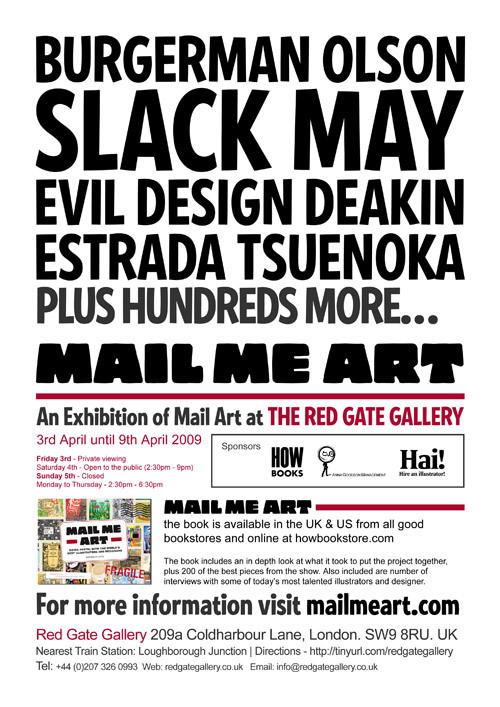 The British-based project was devised by Darren Di Lieto and over the course of a year artists took part in it by designing a piece of mail and posting it directly to him. The artwork submitted for the project is going to be on display and for sale at London’s Red Gate Gallery from 3rd April to 9th April and a selected amount will be featured in a book. Luckily my little envelope is not only going to be in the exhibition and the book but is even featured on the front cover which is exciting! 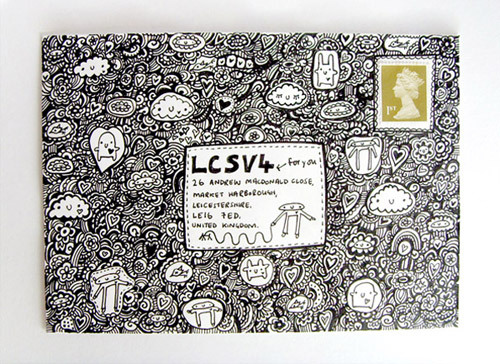 My envelope was a good representation of my doodling style and I was pleased to see that it made it through the post and arrived at it’s destination safely! I love the whole experience of sending and receiving special letters and so I wanted my mail to be a unique gift that had been personally hand-made. 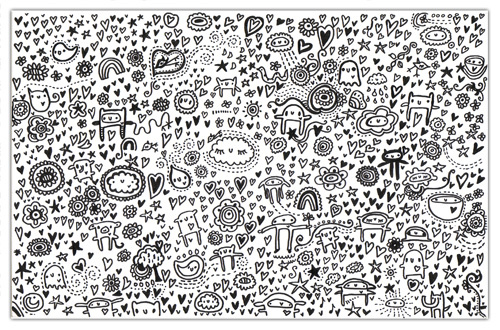 Like most of my work, the doodle pattern on my envelope was an unplanned, eclectic compilation of elements, aimed at engaging your attention so that you want to explore it more. You can read more about the project by visiting www.mailmeart.com.